Arctic sea ice is melting at a record pace – and every summer looks grimmer. This past summer saw the ice pack at its fourth-lowest level on record, and the overall trend in recent decades suggests this will only continue. “Using satellites, scientists have found that the area of sea ice coverage each September has declined by more than 40 percent since the late 1970s, a trend that has accelerated since 2007,” according to the recent report “Arctic Matters: The Global Connection to Changes in the Arctic” by the National Research Council of the National Academies. The report added that by the end of each of the eight summers from 2007 to 2014, Arctic sea ice extent was over less area than at any time in the preceding three decades. In addition to rapid melting of the sea and land ice in the Arctic, temperatures there are warming at least twice as fast as those of the rest of the planet – provoking other dramatic changes. Massive wildfires on frozen ground, resulting from increasingly dry conditions caused by anthropogenic climate disruption (ACD), are becoming common; this phenomenon is unprecedented over at least the last 10,000 years. These and other recent changes across the Arctic are making the weather and climate patterns there – and across the rest of the planet – more difficult to predict. This causes the jet stream to weaken and shift away from its typical patterns, which then leads to weather patterns becoming more persistent and lasting longer in the mid-latitudes. This then results in longer droughts, more intense heat waves, and far longer and deeper cold snaps, such as those witnessed in the Northeastern United States and Europe during the last two winters. Truthout interviewed several leading scientists on these issues, seeking a consistent expectation for what the dramatic changes in the Arctic mean. The verdict? If there’s one thing that all the scientists’ predictions have in common, it is significant change. Dr. Julienne Stroeve is a senior research scientist with the National Snow and Ice Data Center in Boulder, Colorado. She specializes in the remote sensing of snow and ice, and works in the Arctic measuring changes in the sea ice. “Eventually we should see an Arctic Ocean ice free in summers as global temperatures continue to warm,” Stroeve told Truthout. She expects us to begin seeing summer periods of an ice-free Arctic ice pack around the year 2040. Bob Henson is a meteorologist with the Weather Underground, and author of The Thinking Person’s Guide to Climate Change. He believes that while there will most likely be some small areas of year-round ice clinging to far northern Canada for decades to come, “I would expect a summer in the next 20 to 30 years in which sea ice covers as little as 10 percent of the Arctic for at least a few days in August or September,” he said. Everything in the planet’s climate system is linked, and when one part of it changes, all the other parts will respond. Regardless of the specifics of the timeline, many agree that an ice-free Arctic will appear before the next century begins. By way of comparison, overall net planetwide warming from greenhouse gases thus far is only one-twentieth that amount of heating. While that might not sound like very much, as James Hansen has pointed out, cumulatively that amount corresponds to 400,000 Hiroshima atom bombs per day, 365 days a year, across the planet. Stroeve explained why the Arctic is vitally important in terms of its impact on the global climate system. Hence, all of our large-scale weather and ocean patterns are tied to the temperature difference between the poles, which receive less solar input, Stroeve said, and the equator, which receives most of the solar input. Henson warned that we are entering “uncharted territory” when it comes to the loss of Arctic sea ice. Vavrus explained how the Arctic is the “refrigerator” of the global climate system, acting as the cold region that balances out the hot tropics. “In this role, the Arctic helps to regulate the energy balance of the climate system and the weather circulation patterns both within high latitudes and elsewhere,” he said. He went on to point out that the most common expectation among scientists about the impact that the loss of summer sea ice will have on global climate patterns is that more solar energy will be absorbed by the Arctic Ocean and land, and the added heat from the earth’s surface will then be released back into the atmosphere during autumn and winter. This will then result in shifting jet-stream winds, and lead to more persistent and extreme weather patterns both within and outside of the Arctic, he added. Another mechanism Henson mentioned is how open water in the Barents and Kara Seas may be moistening the autumn atmosphere over Siberia, leading to heavier autumn snows and triggering a chain of events leading to midwinter Arctic outbreaks. Some current research states that this contributes to the extreme “polar vortex” weather events we’ve seen in recent years, in addition to the extreme drought plaguing much of the western United States. Klein also pointed out another dramatic impact the loss of ice is having within the Arctic itself. Stroeve pointed out that people should be concerned about the upcoming summer periods of an ice-free Arctic Ocean due to the fact that everything in the planet’s climate system is linked together, and when one part of it changes, all the other parts will respond. Oldspeak: “The Postmodern Left is the simulation of a Left, with all of the chants, banners and other paraphernalia of a militant Left with few to none of the acts of resistance. It simulates struggle, basks in the glorious imagery, then wonders why it never achieves victory, which is impossible unless there is an actual battle. Most of the time these battles will end in defeat, so the Postmodern Left accepts the happy illusion over the sad reality. Of course, working class people cannot ignore the bitterness of their own lived reality, but the Postmodern Left generally does not inhabit this world so it is not a problem for them. The Postmodern Left… merely needs to confuse such activism as a challenge to the system without identifying its severe limitations. And why would anybody do that? Because this sort of activism is so exciting! And everybody else is doing it. And being the sole figure in the room who says there is something wrong here is a terribly lonely place to be, especially when you are attempting to build a base or recruit people or just mobilize people around anything at all in the hopes that something will be a basis for future struggle. But instead of struggle we get the performance of struggle. The rise of neoliberalism across the globe for decades, and its continued resilience since the 2007-2008 financial crisis in particular, forces us to ask why there has not been a more successful resistance against it. We might start with the changing structure of the working class, especially in the West, and that would be worthwhile, but it is not as though neoliberalism has abolished working class resistance entirely. It is not as though there have not been multiple general strikes in Greece, for example. Additionally, the United States just recently saw a series of urban rebellions against police killing Black people, with buildings set on fire and police cars destroyed in revolt against the conditions imposed upon them by the state. Many of the participants have since been convicted of arson and other crimes and are now serving out years-long prison terms. The problem is not that militancy is not possible or even at times imminent. Working class people in the US have shown great courage against police terrorism, and in Greece refused to accept yet another round of austerity even with European capital holding their economy hostage. The alternate question to ask, then, is why has the Left specifically failed to resist neoliberalism? We might answer this question in dozens of ways, one answer for each Left that exists. But the failure of SYRIZA in Greece to resist yet another wave of austerity measures–in fact to embrace austerity–sharpens and clarifies the problem, posing uncomfortable truths. That is, perhaps the Left hasn’t failed to resist neoliberalism. Perhaps it has not even tried. Wasn’t SYRIZA a decade-long project to build up an alliance of radicals in response to the collapse of social democracy into neoliberalism? It certainly seemed so at the time, probably to its participants most of all. And yet the entire project collapsed so immediately and so spectacularly, going from the cutting edge of the international Left to the symbol of all that is wrong with it, in less than a week. 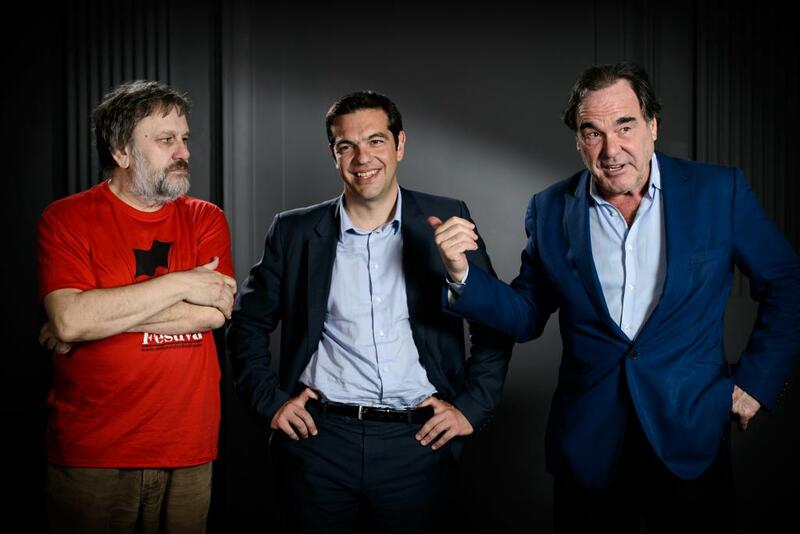 The defining moment of SYRIZA and of the international Left of the current generation occurred in the early morning hours of July 11, 2015. Many histories will forget this detail as just one of many parliamentary sessions, yet this was by far the most significant. In this moment, just days after the spectacular “Oxi” vote by the Greek people rejecting austerity, their parliamentary representatives chose to embrace it. With 149 seats in parliament, only two members of the radical coalition of the Left dedicated to ending austerity found themselves voting “Oxi” along with the people they claimed to represent. It was a stunning moment that no radical should forget for the rest of their life, unless they simply want to repeat these exciting failures over and over indefinitely. Certainly, the votes improved later in the month, but the collapse of July 11 should not be so easily forgotten. For a brief moment we saw the crux–or one of the cruxes–of the problem of the international Left. In short, these members of SYRIZA were more committed to the image of SYRIZA as a united coalition of the radical Left than they were in actually opposing austerity when the opportunity to do so was right in front of them. They recoiled from reality and its consequences and embraced the image of what they had built instead. This is the Postmodern Left in practice. The Postmodern Left avoids building actual power among the poor and the oppressed, instead focusing on self-promotional spectacles which feel like struggle and power but are entirely empty. The Postmodern Left talks about “class struggle unionism” then carries out pension reform in the name of a balancing the budget and then insist that they never supported any such thing because words are meaningless and have no relationship to objective reality. The Postmodern Left is detached from reality because it makes its own reality. The Postmodern Left does not believe in postmodernism. The Postmodern Left is postmodernism. The Postmodern Left is not the result of the declining relevance of objective reality. On the contrary, it has a solid material base from which it arises, and to which it is shackled, specifically in the Non-Governmental Organization (NGO) form. Under neoliberalism, the destruction of social welfare programs and other sources of stability for working class people have been replaced by services granted by NGOs, funded by foundations and governmental grants as well as directly from corporations. This organizational form has extended beyond the service sector and into the Left itself, where protest movement organizations can build up an infrastructure of full-time staff members through many of these same grants. The problem for NGOs, then, is to challenge the status quo without challenging the elite sources which fund the operation. This has proven to be an impossible problem to solve, and instead NGOs have served to reproduce neoliberalism rather than challenge it. A few examples will illustrate this. The Rosa Luxemburg Stiftung is a global network of organizations based in Berlin and New York that celebrates the life of Rosa Luxemburg, a Polish revolutionary best known for her role in the German socialist movement as a critic of its support of electoral reformism and imperialism. She was later killed by her reformist comrades when they came to power. Meanwhile, the Rosa Luxemburg Stiftung has taken her name while supporting the the United Nations and hailing the electoral victory of Alexis Tsipras after he embraced austerity. Her name has become little more than a tool for garnering funding. DeRay McKesson is an activist who rose to prominence during the rise of the Black Lives Matter movement, especially in Ferguson, MIssouri. While he is known as an activist, few people can point to what he has accomplished beyond amassing an enormous Twitter following and gaining the accolades of the corporate media. McKesson was also a school administrator associated with Teach For America, a pro-corporate school “reform” organization which weakens teachers’ unions by supplying schools with inexperienced, low-cost and temporary teachers fresh out of college. More recently, McKesson quit his job to become a “full-time activist” working with the Democratic and Republican parties, Twitter and other corporate sponsors to host presidential debates. In short, DeRay McKesson is not really a left-wing militant, but at times he sure looks like one. The problem is, there are so many McKesson’s on the activist scene, typically much less tied to corporate interests than he is, that it can be difficult to discern the difference between a “real” militant and “fake” one. A group of non-profit organizations recently held a housing and tenants rights conference in Oakland, California. This is a city where two-bedroom apartments regularly rent for $2,000 or more and the Black and Latino working class is rapidly being displaced. One of the sponsoring organizations was recently bargaining with the City of Oakland over a $320,000 contract to oversee Oakland’s Day Laborer Program, which supplies low wage immigrant labor to various employers. Meanwhile, one of the speakers at the conference plenary session declared the enemy to be no less than the capitalist system itself. Recently deposed mayor Jean Quan, who was sitting in the audience and maintains a close alliance with many of the organizers, did not bat an eye at such a statement, and neither will anybody in Oakland City Hall, because this is all just window dressing to create the illusion of radicalism. Nobody who takes $320,000 from the city is going to threaten the political alliances that helped them garner it, no matter how loudly they proclaim their opposition to capitalism. The Left exists in the general milieu of NGO activism created by such organizations. That is, not all radicals have to succumb to the NGO form, they merely need to adapt to the activism led by NGOs, which is the appearance of militancy, in order to build up a base of support and win reforms, without the substance of militancy, in order to avoid embarrassing important funding sources and allies. In short, the image of something that seems fundamentally revolutionary–Rosa Luxemburg, and the urban rebellions against police terror–can be used by people whose aims are totally compatible with neoliberalism. The Postmodern Left does not need to take money from the City of Oakland, or even have a tax-free status. It merely needs to confuse such activism as a challenge to the system without identifying its severe limitations. And why would anybody do that? Because this sort of activism is so exciting! And everybody else is doing it. And being the sole figure in the room who says there is something wrong here is a terribly lonely place to be, especially when you are attempting to build a base or recruit people or just mobilize people around anything at all in the hopes that something will be a basis for future struggle. But instead of struggle we get the performance of struggle. Anybody who attended one of the larger meetings of the British Socialist Workers Party in the past will be aware of the performative aspects of this organization. Having failed to build a workers party during its decades of existence, it must create a performance as though it is a workers’ party, otherwise workers won’t join it, capped off with chanting “The workers united will never be defeated!” Who they are chanting to is unclear. There are no bosses nearby, so it is more likely directed to the workers in attendance, or perhaps just to the party faithful to remind themselves of their commitment to the working class. It is not as though they are not committed–they certainly believe they are–rather the problem is that their commitment is a performance. Rather than build a workers party, they simulate one in the hopes that the workers will join it. The Postmodern Left is the simulation of a Left, with all of the chants, banners and other paraphernalia of a militant Left with few to none of the acts of resistance. It simulates struggle, basks in the glorious imagery, then wonders why it never achieves victory, which is impossible unless there is an actual battle. Most of the time these battles will end in defeat, so the Postmodern Left accepts the happy illusion over the sad reality. Of course, working class people cannot ignore the bitterness of their own lived reality, but the Postmodern Left generally does not inhabit this world so it is not a problem for them. On the one hand, Postmodern Leftism has completely failed to challenge neoliberal austerity measures. On the other hand, we can see that full-time staff of the Postmodern Left has done a spectacular job of staving off austerity once we realize that the only jobs they are committed to protecting are their own. How could a march of hundreds of thousands be made so powerless? Because it was run by NGOs committed most of all to continuing their own stream of revenue. All that was necessary was the image of a mass march, the feeling that we are doing something. That this was entirely inadequate to the problem at hand–saving the planet from destruction by capitalism–is not so much a problem if your real goal is to get donations, sell books and set up speaking engagements. In other words, this is not struggle but merely marketing in the form of struggle. It is merely a simulation. Branding. That’s how the climate crisis is going to be solved. We are in an era or postmodern social movements. The image (not ideology) comes first and shapes the reality. The P.R. and marketing determines the tactics, the messaging, the organizing, and the strategy. One of the most blatant current examples of illusory struggle is the Fight for Fifteen campaign, particularly at the national level, which has led thousands of low-wage workers in strikes against fast food employers. Or have they? One participant describes her experience: “In Miami, I’ve attended Fight for $15 demonstrations in which the vast majority of participants were paid activists, employees of NGOs, CBOs (Community Based Organizations), and union staff seeking potential members.” In fact, many people who have attended these actions will look around and ask, who is really on strike here? There are certainly people who risk their jobs to participate, but in many cases the hundreds of people who attend one of these “strikes” are simply supporters of the idea of low-wage workers striking. The striking workers are far and few between, with a small handful designated as media spokespeople and none others identified at all. Berlin Rosen is a public relations firm employed not only by SEIU but also by the current Mayor of New York City and was involved in the bankruptcy of Detroit, the belly of the beast of neoliberalism. They were also employed by the leadership of the United Auto Workers to convince Chrysler employees to accept a contract after these same employees rejected an earlier one that did not go far enough in cancelling the two-tier wage system. In this case, postmodern activism and neoliberalism are one and the same. Berlin Rosen proves, if nothing else, that there is good money to be made in postmodern social movements. SEIU has since endorsed Hillary Clinton, who does not support a $15 per hour minimum wage. Meanwhile, the most recent Fight for $15 strike ended with appeals to get out the vote in 2016–we can imagine for whom–and has shifted its campaign slogan to “Come Get My Vote.” That is, the movement is being openly positioned to being co-opted by the Democratic Party. This is not usually how a national workers’ rebellion plays out, but might be how a simulated one could be directed. Richard Seymour described the empty, feel good activism, in which the good feelings of people finally able to express their opposition to the horrors of neoliberalism overcomes the question of what can we do to actually stop these things. Why ask these difficult questions when it feels so good just to finally be marching? It was, indeed, a joyous occasion [Seymour writes of a march against austerity]. The people thronged into streets barely big enough to contain them, and chanted and sang in notes of cheerful defiance. Those who claim that such events are ‘boring’ are wrong in point of fact, and give the impression of political thrill-seeking. We all had a lovely time. And this was precisely the problem. A minimum condition for sentience on the left is an awareness that this protest is itself evidence of at least five years of catastrophic failure. There is something powerfully and stunningly incongruous in the subjectivity of a left marching as if in recreation, when we know we are also mourning for the casualties and the dead. It suggests that we don’t really mean business. It suggests that, rather than wanting to shake the walls and pillars to the earth, we want to grab some ice cream and go home. What Seymour describes is the problem posed by February 15, 2003, the high point of postmodern activism, when millions around the globe marched against the war in Iraq in possibly the largest day of demonstrations in world history. Millions of people flooded the streets and for many it felt like the most empowering moment of their lives, and yet how little power we actually had. Of course, millions of people have an enormous amount of power, but not when they just stand there on the street, even if they are carrying a banner or wearing a political t-shirt. The Postmodern Left can still be heard, from time to time, saying how we nearly stopped the war in Iraq. Nothing could be further from reality, but reality does not bother the Postmodern Left. “The tradition of all dead generations weighs like a nightmare on the brains of the living,” wrote Marx in the 18th Brumaire of Louis Bonaparte. In this case, it’s more like a daydream, a fantasy of struggle with all the imagery of resistance and none of its substance. If this is all we can do, and no more, then we are utterly lost. Some people have been grappling with the problem posed by February 15 for the last decade. Others are perfectly content to repeat this same process over and over again, as it allows them to continue selling books, booking speaking engagements, recruiting people to their organizations and funding their non-profit organizations. These machinations can continue indefinitely and are entirely compatible with the capitalist system. One can make can make quite a satisfying career and lifestyle as a revolutionary of sorts, so long as it is all within the confines of the Postmodern Left. If this is the age of illusions, then the rise of SYRIZA in Greece must be the penultimate illusion. Sadly, but predictably, the SYRIZA bubble has been popped and we have all been forced back down to reality. Since SYRIZA’s acceptance of austerity, former SYRIZA Central Committee member Stathis Kouvelakis has written a number of autopsies of what was once the SYRIZA dream. In one especially revealing statement, he notes how so many moves by SYRIZA were so contrary to what any radical Leftist would accept. Its first and most immediate consequence was to paralyze the mobilization and destroy the optimism and militancy that prevailed in the first weeks after the January 25 electoral victory. Of course, this downgrading of popular mobilization is not something that started on January 25 or February 20, as a consequence of a particular governmental tactic. It is something that was preexistent in Syriza’s strategy. This is the exact opposite of what was supposed to happen, but the facade had to be maintained. Kouvelakis then notes the rapid decline of internal democracy in SYRIZA in the last few years. What we saw being constructed after June 2012 — step by step but systematically — was a party form increasingly leader-centered, centralized, and detached from the actions and the will of the membership. The process went entirely out of control when Syriza went into government. None of this should be unexpected. These are the well known consequences of electoral strategies, which Marxists have been aware of for a century, since the capitulation of European Social Democracy to World War One and repeated many times since. Yet, eager Marxists the world over looked to SYRIZA as something different, but it was merely the illusion of something different. In the end, it was exactly the same sort of radical electoral strategies of the past, but the appeal that these plucky Marxist intellectuals and activists could take on the European powers was far too seductive. In SYRIZA, the international Left saw itself, and could not imagine that it, too, might collapse in much the same way under similar circumstances. The problem is that these strategies appeal to a certain brand of Leftist occupying a certain social position–specifically, intellectuals and NGO leaders–including those who have spent their careers explaining the limitations of electoralism. The appeal of electoral glory is simply too great for these people to be withstood against a rock-solid critique of reformism. After July 11, no serious Leftists can ever, for the rest of their lives, look a prominent left-wing figure in the eye and take their promises at face value. We just cannot take ourselves seriously if we continue to pretend that lofty promises from self-important, self-selected leaders can be trusted. And yet, this is precisely what the Postmodern Left will continue to do, assuring everybody that no, this next project is not an other SYRIZA, even though they almost certainly said the some sort of thing about SYRIZA itself. Greece has had dozens of general strikes over the last few years and some even predicted that the working class might rise up in response to SYRIZA’s capitulation. There was even a one-day general strike of public sector workers carried out the day that the first round of austerity was approved by the Greek parliament on July 15. Surprisingly, this general strike seemed to have no impact whatsoever on parliament. “The fight is now on,” heralded one breathless commentary announcing the impending strike. “It is not off: it’s the period of shadow boxing that is over.” The strike came and went, but the mere shadow boxing continued. We are left to wonder whether or not working people can challenge their own governments if even a general strike cannot alter the course of history. There is, of course, an alternate explanation, which is that at least some of these may have been mere simulations of general strikes, turned on and then turned off by the union leadership with little threat of disrupting much beyond halting a days’ work, after which order was fully restored, if it was ever even threatened in the first place. If we cannot tell the difference between simulation and reality, we risk descending from a healthy pessimism over the current state of affairs into believing that working class struggles can have no impact simply because it deceptively appears that they don’t. SYRIZA played out like a simulation of Marxist theory. The collapse of social democracy required a new electoral force to take its place. In stepped SYRIZA, an electoral alliance that assured everyone that they were actually going to take on the financial powers in Europe. Marxists around the world who have documented in detail how social democracy has flailed and decayed for decades suddenly believed that yes, this electoral reform project would succeed, and no, there was no reason why it was any different than the failures of the past. Without a “fake” Marxist Left–the Stalinists, reformists and other revisionists of the past–the “real” Marxist Left stepped in to take its place, heralding the dawn of a new age in Europe, for a few exciting months anyway. It can seem impossible at times to tell the difference between the real and the fake, the simulation and reality, but ultimately we do not live in a postmodern world. We simply live in a world where so many on the Left act as though it is. Nonetheless, all of these simulations do eventually confront the brute material forces of reality, and suddenly the complete inadequacy of the simulated Left–not just in SYRIZA but across the board–is laid bare for all to see. Eventually, a Ferguson or a Baltimore revolts and the irrelevance of the Postmodern Left to the project of organizing working class resistance is made completely clear. If there is any way out of this rut, it is to reject the spectacle and the simulation in favor of substantive material resistance. The feel good moment of triumph with a hollow center, the exuberant meetings and chants that people remember for the rest of their lives, just might be an obstacle toward building something with actual power. The image of revolt, and even talk of socialism and–hold onto your seats!–“political revolution” coming from the Bernie Sanders campaign for President will go nowhere. It is the courageous act of resistance and the rein of terror that it must face in response from the neoliberal state that transforms a class into a force for rebellion. In short, if social movements do not directly hurt the people in power–and not just mildly embarrass them–or empower the exploited and oppressed–and not just temporarily mobilize them–then it may not be a worthwhile strategy. It may simply feel like one. In other words, if it feels good, don’t do it. We may struggle to see past the illusions from our current vantage point. No doubt, we will find ourselves in the trenches of class war, only to look outside and realize that the entire spectacle has been constructed by a charlatan. This will continue to happen, so long as neoliberal capitalism provides career opportunities for charlatans, as it no doubt will. There is a great need, then, to breakdown the facade, to no longer allow the false images of resistance that surreptitiously enable neoliberalism and distract from the fundamental project of resistance. The SYRIZAs of the world will insist that this is counterproductive to their project. And that is exactly the point. For billions of people around the world, the most immediate threat posed by climate change is at the dinner table, as staple crops face a steadily worsening onslaught of drought, heat waves, and other extreme weather events. The United States certainly isn’t immune to these challenges; for proof, just look at California, where an unprecedented drought has cost the state’s agriculture industry billions. Still, the conventional thinking among many scientists is that developing countries, particularly in sub-Saharan Africa and Southeast Asia—where people are typically hit harder by food price spikes and generally more reliant on agriculture as a primary source of income—are the most vulnerable to food-related climate impacts. A paper published today in Nature may add a wrinkle to that assumption. Scientists often track the impact that an individual weather disaster has on crops (again, see California), but the new research takes it a step further. A team of scientists from Canada and the United Kingdom compiled the first-ever global tally of how weather disasters over the past 50 years cut into production of staple cereals. After merging a database of global weather records with a UN record of country-level crop production, the researchers found that, as a rule of thumb, droughts and heat waves typically cut a country’s cereal production by 10 percent. That basically accords with predictions from the UN Intergovernmental Panel on Climate Change’s predictions for agricultural vulnerability in the future. But unexpectedly, the researchers also found that the impacts were 8 to 11 percent more severe in developed countries than in developing ones. “That was a surprise to us,” said Navin Ramankutty, an agricultural geographer at the University of British Columbia. Ramankutty said it’s not yet clear why droughts and heat waves tend to hit yields in the United States, Europe, and Australia harder than those in Asia, Africa, and Latin America. But he suspects it relates to how farmers set their priorities. In developed countries, the emphasis is often on maximizing profit with big monoculture farms that work great in good climates but get trashed when the weather turns sour. Farmers in developing countries, by contrast, may prioritize minimizing their risk, taking a smaller yield in exchange for better resilience. Of course, these findings don’t mean developing countries are out of harm’s way. They still face major challenges from climate change, since comparatively small yield losses can have an outsized impact on local economies and food security. But Ramankutty says the new research shows that even in the developed world, farmers may be more at risk from climate change than anyone previously realized. With all that’s going on in the world — from record-breaking warm spells to rapidly melting ice sheets — it’s easy to ignore something so seemingly mundane as dirt. But scientists at the University of Sheffield’s Grantham Center for Sustainable Futures suggest that we ignore dirt at our own peril. Nearly a third of the world’s arable land has been lost over the past four decades, according to a new report, released to coincide with the Paris climate talks earlier this month. Experts at the the University of Sheffield called this soil loss “an unfolding global disaster” that directly threatens the agricultural productivity of the planet. But soil erosion isn’t just a problem for food security — which is expected to become even more pressing as the world’s population booms and land available for food production wanes. Soil erosion is also tied to the climate, as the world’s soils represent a massive carbon storage system, containing three times the amount of carbon that is currently in the atmosphere. “If the soil carbon reserve is not managed properly, it can easily overwhelm the atmosphere,” Rattan Lal, director of the Carbon Management and Sequestration Center at Ohio State University, told ThinkProgress in April. The University of Sheffield report places most of the blame for soil erosion on what it calls unsustainable farming practices, which require large amounts of fertilizers and tilling to boost crop yields. Switching to a more sustainable model of intensive agriculture, the report urges, can help offset soil loss. Right now, the report found that plowed fields lose soil to erosion at a rate 10 to 100 times greater than soil formation, meaning that the Earth is currently losing valuable land faster than it can be naturally replenished. Replenishing topsoil naturally is not a quick process — it takes about 500 years to replenish just 2.5 cm of topsoil. According to the World Wildlife Fund, about half of the world’s topsoil has been lost in the last century and a half. Over-plowing fields constantly disturbs top soil, exposing the microbes that live within it to oxygen and releasing its stored carbon. That, in turn, impacts soil’s ability to store more carbon. It also degrades the soil’s structural integrity, impeding its ability to absorb water and act as a buffer against floods, or store water for plants. Degraded soil can wash away more easily during extreme precipitation events, causing rivers and streams to become flooded with silt and sediment, which can impact ecosystems in the water. Degraded soil is also less fertile than non-degraded soil in terms of agricultural productivity — a worrisome reality for a planet that is expected to need to increase its agricultural production 50 percent by 2050. According to the United Nations, 95 percent of our food comes from the soil, but about one-third of the world’s soils are currently degraded. For sub-Saharan Africa, that number jumps to about two-thirds, which the Montpellier Panel — an international group working to support national and regional agricultural development and food security priorities in sub-Saharan Africa — estimates costs the region about $68 billion per year in lost productivity. If topsoil loss is not slowed or reversed, the U.N. estimates that all of the world’s topsoil could be gone within 60 years. In order to slow or reverse the trend of soil degradation, the University of Sheffield report suggests a few tweaks to the currently agricultural model. First, they suggest a more hands-on approach to soil management with cover crops and no-till soil, both of which can help boost soil health by keeping soil microbes from being exposed to oxygen and preserving a system of roots that keeps soil more tightly packed. The report also suggests weaning the world off of synthetic fertilizers and returning to the age-old but currently-underused tradition of applying night soil — also known as human sewage — to cropland, which the report argues can help restore nitrogen and phosphorus back to the soil. As part of the U.N. climate talks, the French government launched a program aimed at studying the best methods for restoring soil health and aiding carbon sequestration. Dubbed “4 pour 1,000,” as a nod to the idea that a .4 percent increase in soil carbon annually would offset human emissions, the program is a partnership between the French government, agricultural development bodies like CGIAR, and several developing nations. The project hopes to sequester 25 megatons of carbon while boosting farming yields by 20 percent.